When three jazz amigos met at USF, they had no idea what their future together would hold. 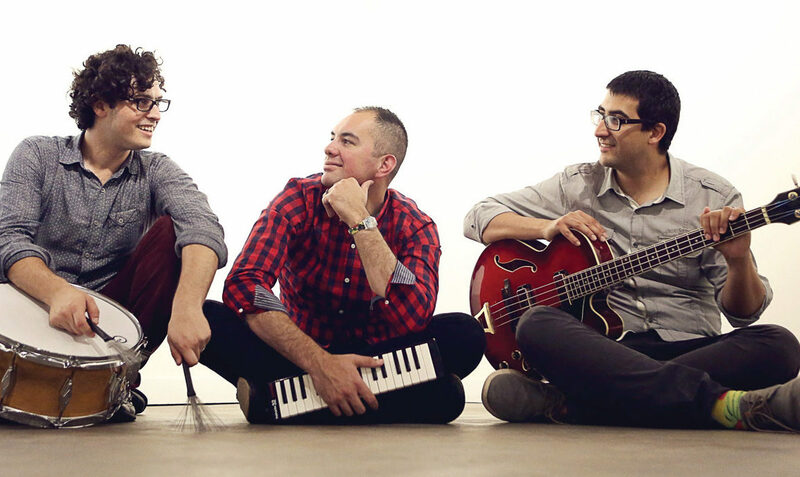 Awarded Creative Loafing’s Best of the Bay Best Jazz Ensemble for three consecutive years, the trio called La Lucha is comprised of John O’Leary on piano, hailing from Mexico; Alejandro Arenas on bass, from Colombia; and Mark Feinman on drums, from Clearwater, Florida. Community involvement has been a priority for them from the beginning. 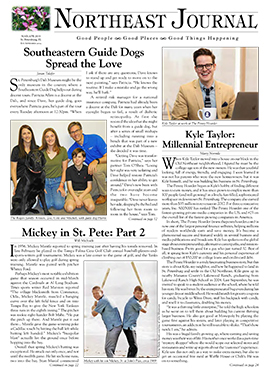 All three musicians have served on the board of the Al Downing Tampa Bay Jazz Association, a local non-profit that promotes, preserves, and presents jazz in the Tampa Bay area. Part of the organization’s community outreach is sending jazz musicians to perform in area schools and mentor high school students. The three musicians encourage students to be open-minded and enthusiastic like they are. “At first, we would take any gig offered to us,” Arenas says. Even the name, La Lucha, carries symbolism for perseverance. It’s a Spanish term that means ‘the fight’ or ‘the struggle.’ The musicians chose it as a positive reminder of the hard work necessary to achieve any worthwhile goal. O’Leary also pursued neuroscience at USF, earning a PhD in biomedical science/neuroscience. Over the years, he’s brought these interests together with La Lucha. With mentors in St. Petersburg like bassist John Lamb and the late Buster Cooper, a jazz trombonist, who both played with Benny Goodman and Duke Ellington, perhaps it’s not surprising that the musicians of La Lucha are so accomplished. Other collaborators include Jeff Rupert, Marty Morell, and Michiquita, with whom they recently performed at the Palladium. Marty Morell has had a storied career, performing with the Bill Evans trio and Stan Getz. One of La Lucha’s upcoming performances will be at the Clearwater Jazz Holiday this October. Feinman has been attending the Clearwater Jazz Holiday since infancy. In high school, he saw Herbie Hancock perform there. This year, he’s proud that La Lucha will be following in the footsteps of many jazz giants. La Lucha is known for their innovation, diverse musical compositions, and variety in their approach to performances, playing everything from traditional jazz to their interpretation of ’80s music. Their music is fresh and original, pushing the envelope of artistic expression – and fun. Even when they perform in suits, they always wear colorful, eclectic socks. O’Leary, Arenas, and Feinman laugh about this, yet it’s also a clear point of pride for the group. Eclectic socks are also their trademark thank-you gift to their collaborators. Their friendship and support of one another has created an impressive dynamic within the group, and they’re serious about innovation and challenging themselves to grow. Each year, they generate ideas for new performances and seize opportunities with the same vigor as when they first started performing. You can find La Lucha at the Clearwater Jazz Holiday on October 21, performing with collaborators Jeff Rupert, Marty Morell, and Michiquita.